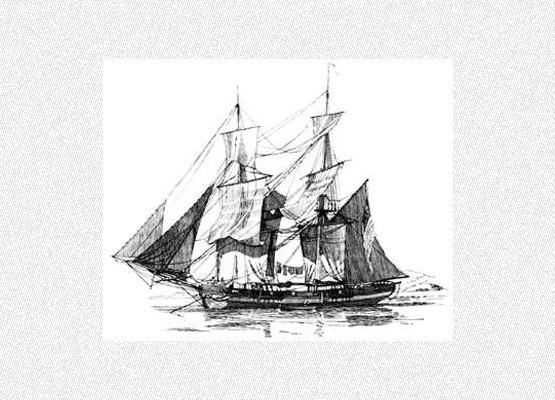 On March 28th 1841, brothers Henry and Robert de Burgh, aged 24 and 18 respectively, sons of Thomas de Burgh, Dean of Cloyne, Oldtown, County Kildare set sail for the Swan River Colony in Western Australia. Although well-educated, their father had not been able to set them up in business, so they decided to try their luck in the new colony where land was freely available. With the help of their mother who had independent means, they purchased equipment and goods to enable them to begin farming in the new world. Taking a mortgage on the brig the ‘James Matthews’, they filled the cargo hold with all manner of goods that could be sold on arrival in Fremantle on the Western Coast of Australia. 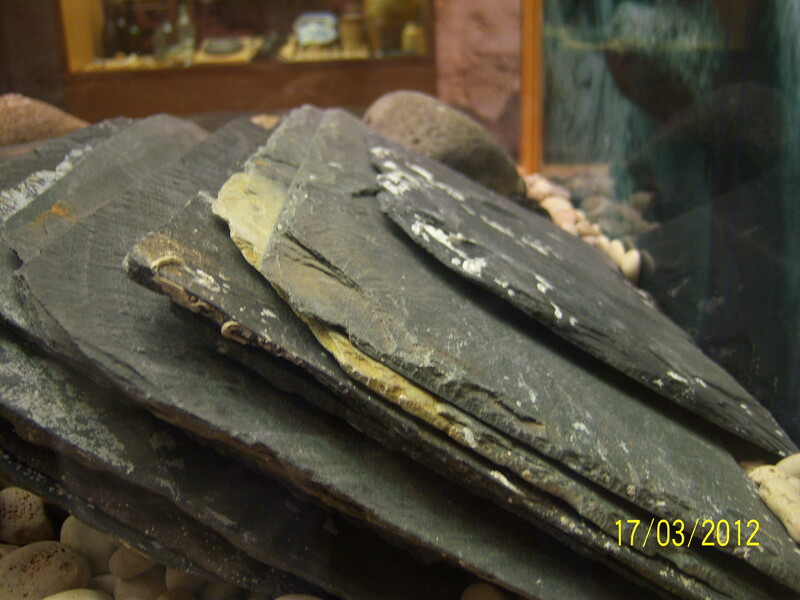 Their cargo included 7,000 slates as well as farming implements. They departed from London – on board were three passengers, including the 2 de Burgh brothers, plus a crew of fifteen. Having stopped in Cape Town for 7 days, they set off across the Indian Ocean arriving safely off the coast of Western Australia on July 20th. The voyage from London had taken 3 months and 23 days. (See previous post To Australia, with love – modern-day journey by air takes 33 hours!) Some on board landed on Garden Island and caught some fish. They then anchored in nearby Cockburn’s Sound and the Fremantle Harbour Master brought them in to Owen’s Anchorage where everyone was busy packing up to leave ship. Owing to a strong breeze they were unable to put away the cargo boats, so they remained on board until conditions improved. However, the breeze became a violent storm and the ship was thrown up on the rocks and sank on July 22 1841. Fortunately all hands, with one exception, were taken to safety. Henry and Robert de Burgh went on to become successful farmers. Henry had to return to Kildare on the death of his father in 1845. Robert stayed on and eventually bought a substantial property at Cowalla on the Moore River where he lived with his wife and children. Sadly in 1865 their three youngest children, aged 7, 5 and 3 years died of diphtheria within 3 days of each other – that they were so far from medical help may have been a factor in the loss of the children. The family then bought an estate of several hundred acres at oCaversham in the Swan Valley, an area renowned today for its many wineries and vineyards. Active in public life until his health failed, Robert died in 1884 at the age of 62. Robert de Burgh’s grandson,Walter de Burgh, still owns land and lives nearby. The earlier holding at Cowalla remained in the family until 1972 and part of it that contained the family home has now been classified by the National Trust. The story of these migrants may have ended there but for the fact that in July 1973, 132 years to the very day that she was wrecked, divers discovered the wreck of the ‘James Matthews’, lying in 2 to 3 metres of water and covered in sand. 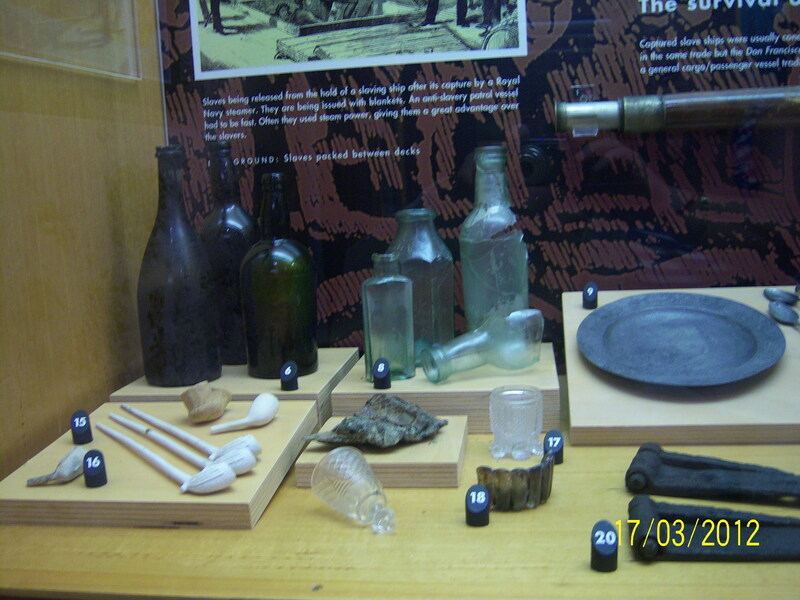 Over several seasons archaeologists from the Western Australia Maritime Museum recovered a large number of artifacts. Items of cargo loaded in London for the use of settlers were brought to the surface – thousands of stone roofing slates, glass window panes, heavy door hinges, carpenters tools, stoneware, clay pipes, bottles of wine, cooking pots and a chess set carved by Henry de Burgh during the voyage. After rescuing some 3500 artefacts the hull was once again filled with sand to protect it from the elements. 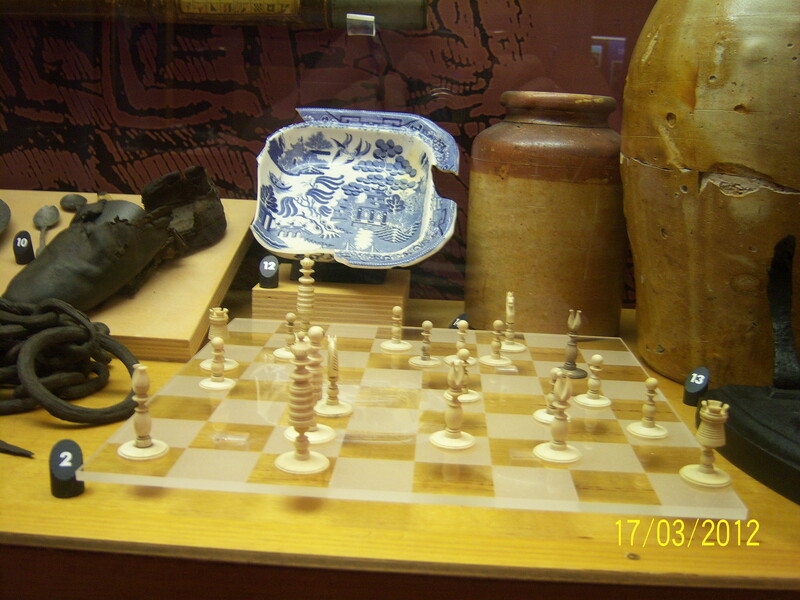 Artifacts recovered from wreck of the ‘James Matthews’, including chess pieces carved on the voyage. On display at the Shipwrecks Gallery, Fremantle,Western Australia. … Prixe to H.H brig Griffon No 6 of 1837. Brought into this port for a breach of the Treaty for the Abolition of the Slave Trade. The real archaeological value of the brig ‘James Matthews’, may rest in its earlier history as a slave ship – for it is the only slave ship known to still exist! It is hoped that one day the entire hull may be excavated and raised to the surface. If this happens and an exhibition is mounted, it would be the first of its kind of a slave ship anywhere in the world. And who better to undertake this work than the excellent Western Australia Maritime Museum? 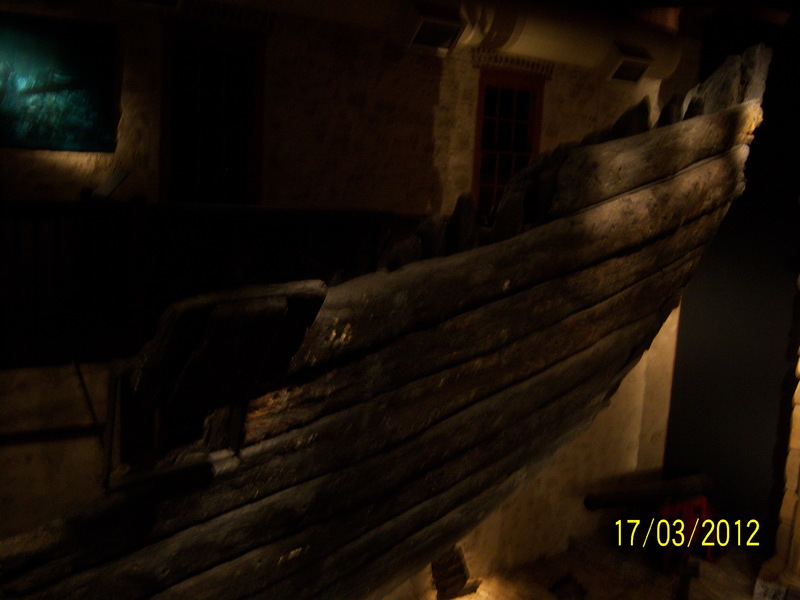 Visitors to the Fremantle Maritime Museum, south of Perth in Western Australia are astounded by the Batavia exhibit – a shipwreck from 1629. Lost on her maiden voyage, a huge part of her is on display at the Museum. A similar breathtaking exhibit of the ‘James Matthews’ slave ship would indeed be a wonderful and unique attraction. It was foggy. It was wet. It was cold. It was a February afternoon in Cork Ireland, the starting point for my great excursion across the world. Soon, at a height of 31,000 feet above Wales, we broke free of the grey cloud and rain and cruised over a tapestry of snow-covered fields lit by the evening sun. 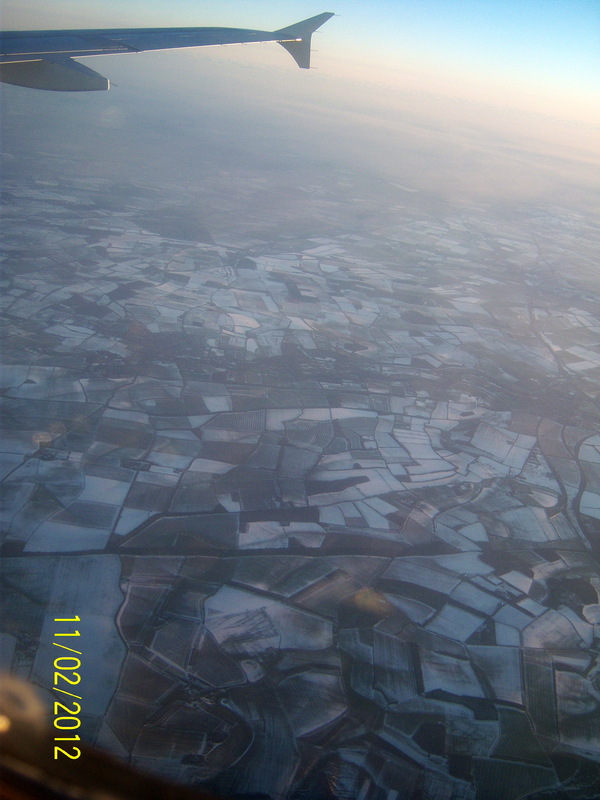 From east of the Bristol Channel all the way over to London Heathrow, England, the countryside was iced in snow, making a beautiful ground pattern far below. This was the first leg of what was to be a long journey. Snow covered approach to London Heathrow on an Aer Lingus Flight from Cork, Ireland on a misty cold winter evening. Departure on the second leg was delayed for about 10 minutes as the pilot asked us not to be alarmed to see the wings of the plane being sprayed for de-icing purposes! A further delay ensued as the plane ahead of us became ‘stuck’ and we were re- routed to another runway. Finally, almost an hour behind schedule, the great Singapore Airlines Airbus A380 with capacity for 850 passengers, lifted effortlessly and smoothly into the night sky. Below, London’s countless millions of lights sparkled and stretched for miles as we climbed higher and higher. 7,067 miles to go to our destination, Singapore! Out over Biggin Hill, best known for its role in the Battle of Britain in the second World War, we head south towards Dover to cross the English Channel into Europe and onwards across Belgium, Luxembourg, Germany, and the Czech Republic. South of Bielsko-Biała in Poland we turn southwards into Slovakia, across Hungary and into Romania. We then head over the Black Sea – once a blue blob on my geography school atlas, now a vast expanse of water – indeed a ‘sea’, miles below. 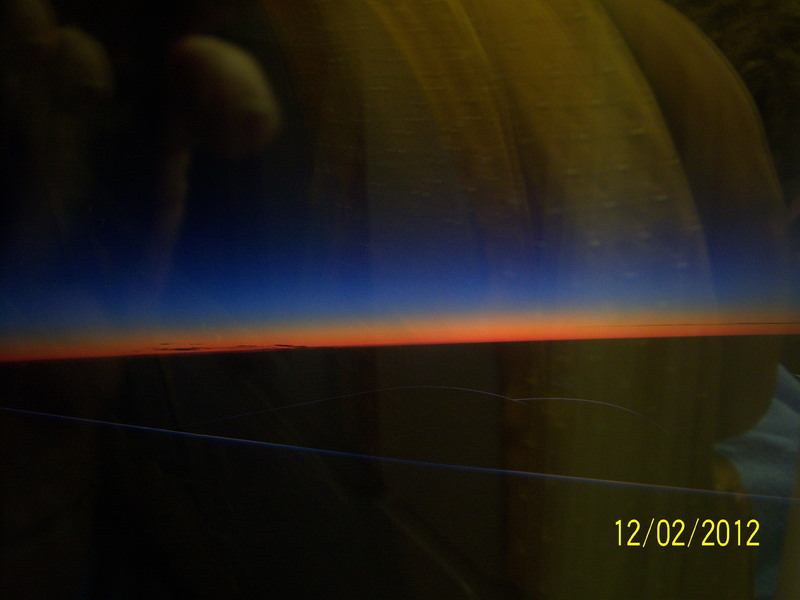 Here, some 1,500 miles into our flight, we met the salmon- pink light of dawn of the following day, as the sun relentlessly made its way to Cork, Ireland where I had come from, some eleven hours earlier. On the far shore of the Black Sea we fly over Georgia, with its capital Tbilisi, and on south of the Caucasus Mountains to Armenia. We are now 6 miles high in the sky over the crossroads between Eastern Europe and Western Asia as we leave Azerbaijan and cross the south-western part of the Caspian Sea. Georgia, Armenia and Azerbaijan – almost unknown to many when they were part of the USSR – now all too familiar as they appear on our news bulletins from time to time. Iran, also so often on our TV screens, is below, and soon we are above Afghanistan, another of the world’s troubled places. We fly on over neighbouring Pakistan, and on into India. I wonder if I might even catch a glimpse of the mighty Himalayas in the distant north! Leaving India by the east coast, we reach the Bay of Bengal – the first major stretch of water we cross (a great relief to those of us who wondered about the usefulness of life vests in the event of falling out of the sky over dry land!) The next land we see is the Andaman Islands, of which I was vaguely aware prior to 2004, but since the devastating tsunami on December 26th the name is all too familiar. Phucket in Thailand – familiar for the same reason- is now to our north as we head along the coast of Thailand to Malaysia. With 600 odd miles to go I am conscious of clouds outside the windows – clouds 6 miles high??! Now in the tropics, we have a good ‘shaking’ as we meet severe turbulence to remind us that nature rules! Keeping west of Kuala Lumpur we head for Singapore on the southernmost tip of the peninsula. Dropping down, it is surprising to see so many cargo ships – dozens and dozens in rows – lying at anchor in the bay and it is easy to understand that Singapore is one of the top three busiest seaports in the world! The passenger in the seat next to me wonders if Singapore, being ‘such a small place, will have steps of the proper height’ to allow us to disembark from our plane – I smile knowing that a surprise awaits her! So, 13 hours after leaving London, we touch down safely at Singapore Changi, in exotic south-east Asia. The airport has a fabulous butterfly garden, flowing water features with exotic orchids everywhere and terrific facilities for transit passengers. Refreshed and soon on the way again, we climb into the sky out over the South China Sea on the final 2,386 miles of the journey to Perth, Western Australia. We cross the equator into the southern hemisphere as we head towards Jakarta and across the Indian Ocean. 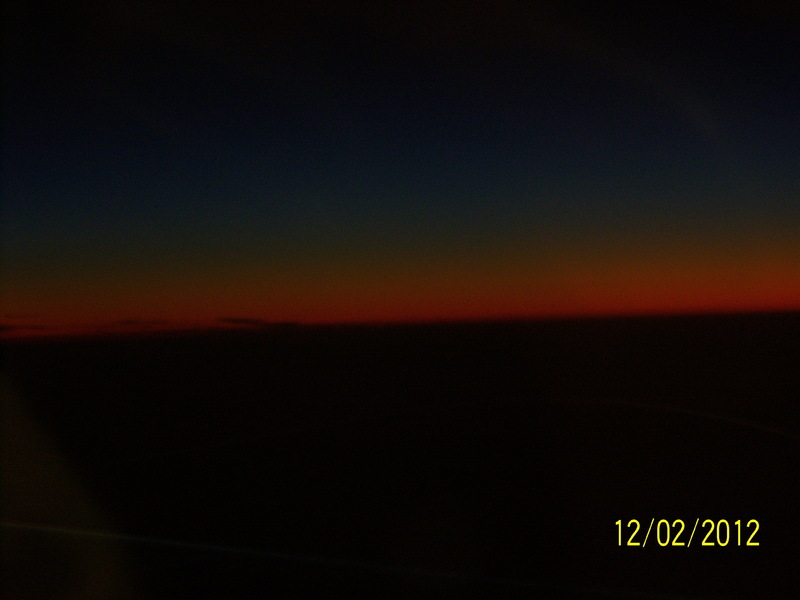 Some four hours into the flight,to the east high above the west coast of Australia a misty reddish hue appears on the horizon, gradually spreading into turquoise , yellows, oranges and reddish golds. I have met my first Australian dawn! 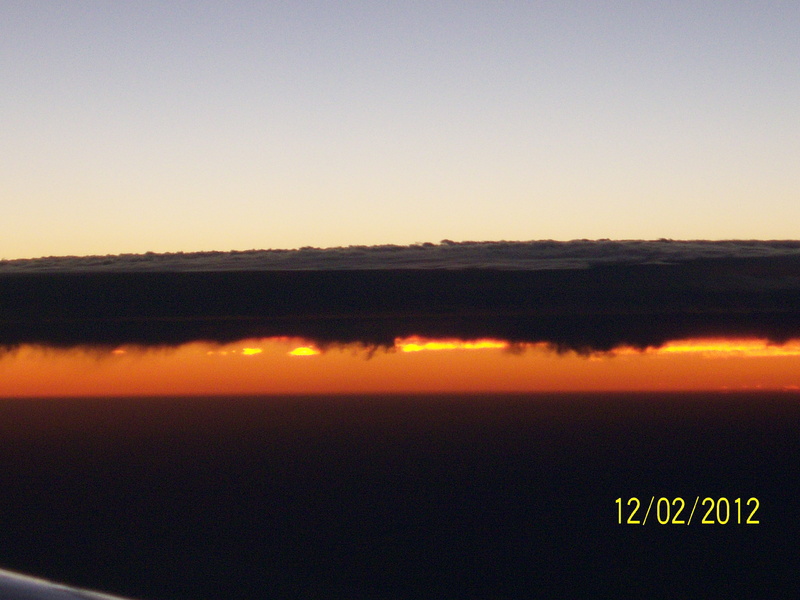 As we get closer to Perth WA, clouds sit above the golden new day. In another hour, 33 hours after my journey began, I will step out into the Australian heat to meet my family – three generations of them – who have left Ireland for a new life in Australia. For generations, Australia has been a destination for the Irish diaspora- many forcibly transported to penal colonies there, many emigrating by choice and many, as now , in the midst of an Irish economic depression emigrating through economic necessity in the hope of carving out a better future. Like many another parent, grandparent, brother or sister in Ireland today I have had to say goodbye to 3 of the 4 members of my direct family as they made that great migration across continents, across seas to far- away Australia. I am very fortunate that I have been able to make that long journey of 10,000 miles to visit them, and for the next while their nearness will be thoroughly enjoyed and the vast distance that separates us will be forgotten! Yet – in the still of the night, it is still hard to forget that Australia is just too far away for those of us who have been left behind.